The Holidays are upon you and the party invitations are flooding in. Realistically you won’t make them all but there are a few that you just can’t miss. You will need a baby sitter to pull this off. Where and how do you begin? Does the perfect sitter exist – is there someone good enough for you and your kids? Will she be good enough to ensure you have a worry-free outing and that your kids are safe and happy while you’re away? The experts in childcare list trust and crisis management as the two most important skills the caregiver should possess. Are they all she will need? In addition to these two skills a caregiver should have a genuine love and passion for children as well as a clear understanding of their role in the absence of the parents. For many these additional traits may seem sensitive, but they are what will make the difference in how well that caregiver fits the family. The whole aspect of trust involves not only the honesty and good treatment of the children. It also involves how mature, competent and alert the babysitter is about the health and safety of the children in her care. With accidental injuries ranking as the leading cause of death in children over age 1 in the U.S. Every day Five (5) children under the age of 5 years die from accidents in the home. The infant to toddler age group are the most active and curious group of children and even diligent mothers sometimes lose sight of their little darlings in a split second. The fact that teenagers make up a large source of today’s baby sitters, it is important that they learn or know proper safety skills in case of emergency. Ozone Action: Are Kids Safe Outside? There is not better place to begin your search for your sitter than within your community: family, your church, local schools, clubs and your workplace. When you compile your list of names be sure to get a few references, it’s important to check the references. The references will most likely include teachers, youth group leaders, employers or other families who have used the sitter. One important question to ask when you contact families the sitter has worked for, is how many kids they have. Also, don’t be afraid to find out if they ever had any problems with the way the sitter interacted with their kids. Next you will want to invite the sitter over to ask questions and see how he or she interacts with your children. This affords you the opportunity to see how much your prospective sitter likes kids and if he or she is open to your methods of parenting. This also communicates to your children that this individual has been given authority to act in their absence and it creates a level of familiarity before the actual babysitting job. Be sure to ask about the sitter’s training in first aid or CPR. Review some scenarios and discuss what he or she may do in certain emergency situations. The competent sitter you are looking for will be able to answer these questions and prove he or she can handle the job. Is Your Child Happy with Caregiver? It is good practice to have the sitter you hire, arrive at your house at least a half-hour before you leave. This will give you sufficient time to go over all emergency issues. “More than half the parents who leave their children with baby sitters under 16 don’t leave emergency telephone numbers,” says Dr. Keener. For your self and as a quick reference for your sitter prepare a checklist of House Rules, Emergency and contact numbers and any other information that will be important for your sitter to remember, especially as it relates to medication. Make sure you discuss your rules with the sitter and highlight the number where you can be reached at all times. Remember that in the event of a life-threatening emergency, a medical professional is permitted to treat your child, experts say. But as it relates to a non-life-threatening injury, they will need parental consent to treat. As the evening progresses, feel free to call home, especially if you are not easily accessible. Choosing to call home at a time when you may be able to head off a potential problem, such as a half-hour after bedtime when the kids may be refusing to go to sleep is a good idea. You could suggest some ways for the sitter to convince them it is bedtime. Should You Use a Nannycam? A debriefing is a review of the events of the evening. Allow an extra 10-15 minutes before your arranged time or be willing to pay for an extra half hour. Consider debriefing the sitter when you get home. You know your children better than anyone ask specifically about areas where you think the sitter may have had trouble. Help your sitter feel comfortable discussing the details or the evening often sitters think your child’s behavior is a reflection on them and may be reluctant to admit any behavioral problems unless asked. Choosing a sitter with training in handling emergencies and checking the sitter’s references will make you more comfortable and your children safer. Is He or She Qualified to Be a Babysitter? The American Red Cross list the following characteristics in their Babysitter’s Training Program: First aid/CPR training; Maturity; Good judgment; Common sense; Friendly personality; Responsible; Nonsmoker; Healthy; Neat; and Organized. 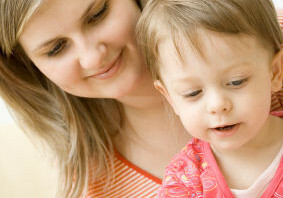 How do your sitter’s qualifications stack up? But, beyond any qualifications, go with your heart. Do you trust this person with your child? How do your children feel about their babysitter? Some people may say a child’s feedback does not matter but I tend to disagree to a certain degree. Aside from being upset about having rules enforced, if your child expresses some degree of discomfort with the babysitter or is insistent about not being left alone with them some attention should be given to the matter. Children are very instinctive and will communicate their uneasiness with an individual. Again I say, go with your heart.